On Saturday, January 26, 2019, I will be supporting the 12th annual Scotiabank Feast of Fortune as we raise funds for greatest needs at Mount Saint Joseph Hospital (MSJ). Please make a donation and help us raise $1,000,000 to support the purchase of critical medical equipment and make a real difference in the lives of MSJ patients. Since 2008, the Scotiabank Feast of Fortune galas have raised over $5.7 million, supporting all departments at Mount Saint Joseph Hospital. 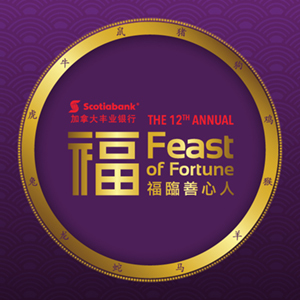 Please support Scotiabank Feast of Fortune and MSJ with a donation today!